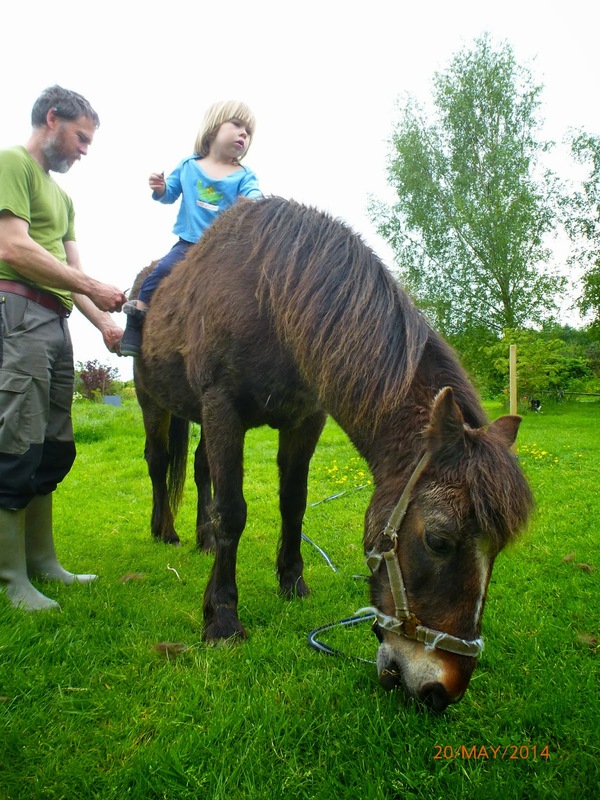 Our new grass management method involves bringing Sweet pea in from the field (for just one hour a day) to eat the grass and the Hogweed coming up in the meadow. Tivon is rubbing off some of Sweet pea's winter coat. One shaggy tail and one shaggy mane! Angus grooming, Alfie sitting up, Sweet Pea eating and Kim photographing.... This grass mowing is a family affair. 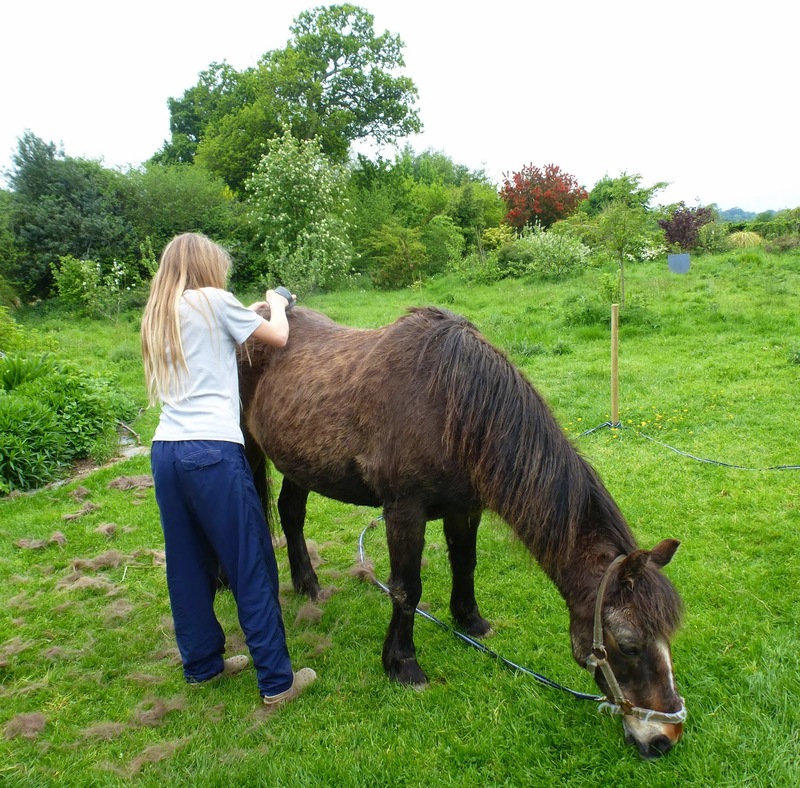 Sweet Pea gets a really good groom from Zoe, while the grass continues to be mowed. Rich spring green grass is best in small doses hence limiting Sweet Pea to 1 hour a day. She also gets some hay for roughage.